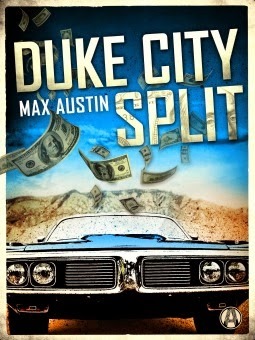 From Goodreads ~ A cool, calm, and collected bank robber - with two kids at home - heads a fascinating cast of characters in Duke City Split, the first in a trilogy of white-knuckle thrillers from Max Austin. Bud Knox isn’t your average bank robber. He’s happiest fixing a nice lunch for his wife on her lunch break or watching his two young daughters play soccer. He leaves the boldness and brawn to his partner, Mick Wyman. In the past fourteen years, they’ve hit nearly thirty banks all over the west - everywhere but “Duke City,” their hometown of Albuquerque, New Mexico. So when Mick calls him about the perfect job, Bud is less than convinced because the target is on their own turf. But with the potential to haul in millions, Bud simply can’t say no. If they do this job right, Bud may never have to work again. As it turns out, the heist is the easy part. Holding onto the money while evading everyone from the FBI to the Mafia to the low-life criminals who want a cut will be the hardest thing Bud Knox has ever done - and it might just cost him his life. Johnny Muller works in a stereo store and hates his job and his boss ... he has dreams of opening his own stereo store. From his apartment, he sees an armoured truck every Monday morning leaving from a nearby casino. Curious, he starts to follow it and tracks its pattern, eventually ending up at a small bank. Figuring there must be millions of dollars being deposited every week, he knows this is his chance to score and achieve his dream. He asks around a seedy bar to see who can help him and eventually hooks up with Bud and Mick. Bud is a house hubby who dabbles as a day trader and takes care of his wife and their two young daughters. Mick spent some time in prison but has been "clean" for twenty years. Best friends, Bud and Mike have been robbing banks for many years to supplement their income but this is the first time they will be considering robbing a local bank. With a potential robbery of about $3 million, this will set them up for life, once and for all. The robbery goes off without a hitch ... it's not 'til afterwards that all the trouble starts. On their tail, they have the FBI, the mafia and a couple of ruthless local criminals who will do anything to get the money. This is the first book I've read by this author and I really enjoyed it. 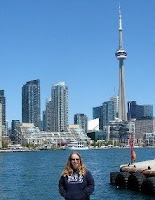 I liked the writing style and thought it flowed very well. The story was interesting and I kept wanting to read more to see what was going to happen. It's written in third person perspective, with a focus on whoever and whatever was happening at the time. As a head's up, there is swearing and violence so I'd recommend it for a mature reader. Despite being criminals, I liked Bud and Mick. Bud was a guy who just wanted to take care of his family but didn't want to be a slave to wages. After this robbery, he would never have to do it again and he'd have enough to put his daughters through school and fund his and his wife's retirement. Mick was rougher and prepared to do whatever it took to survive, even if that meant killing people. Despite their differences, they really cared about each other. Johnny was a naïve, trusting and green and just wanted to have a better life. I found Linda, Bud's wife, who was a realtor, interesting ... she knew what Bud did for a living and, though she worried about him, accepted it. And she considered Mick part of their family. I understand this is the first in a series and I look forward to reading the others as they are published. This is definitely a book for my hubby.